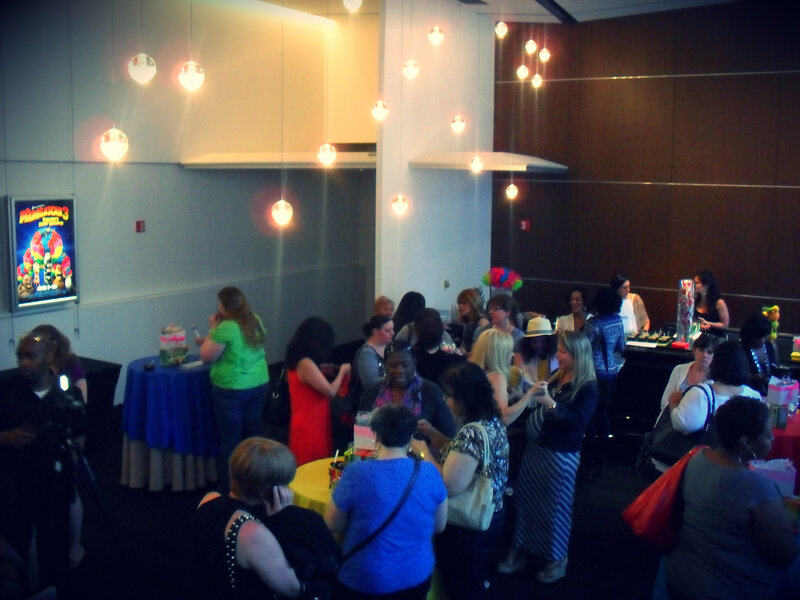 One of the great things about being a blogger is that you get to go to fun, awesome events! This Friday I was lucky enough to be invited by The MOMS to join a number of fellow bloggers for a screening in Times Square of the just released Madagascar 3: Europe’s most wanted. To be completely honest, this was my first “real” event- and I was super nervous about rubbing elbows with a group of seasoned and established bloggers. So I brought along my sister, my best and most loyal wing-girl. However, there was nothing to be nervous about, The MOMS – Melissa and Denise- were super welcoming and made my sister and I feel right at home. Also, the cake pops helped too! 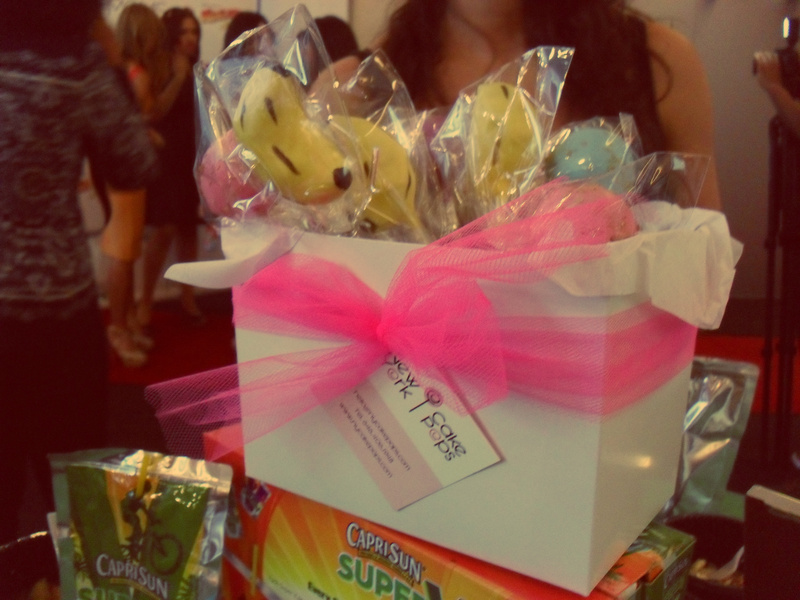 We were treated to a light reception, where we were surrounded by Capri Sun’s new Super V juice, Dogmatic restaurants light and refreshing salads and tasty cake pops from New York Cake Pops. 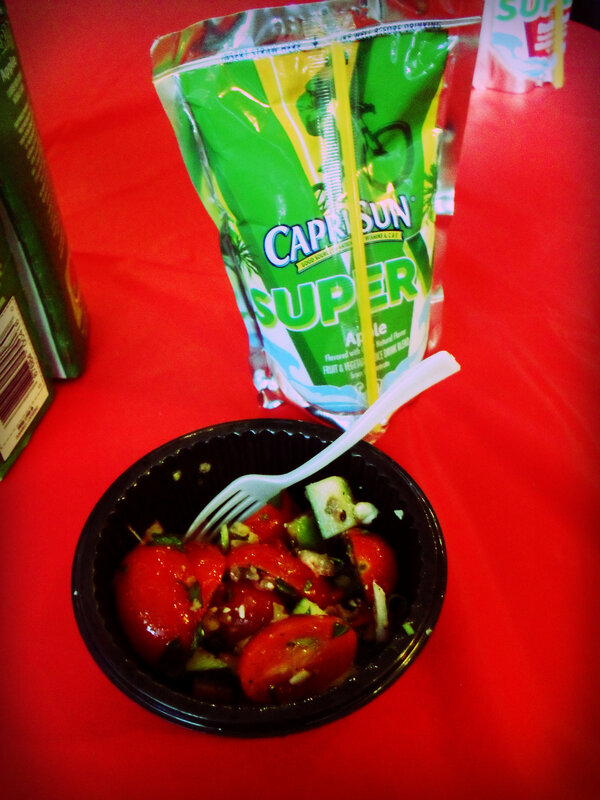 Capri Sun’s Super V line contains 1 combined serving of fruits & veggies- plus they taste great! After the light reception, we got to see the movie (they gave us each a colorful afro, to match Marty’s). Which I totally loved! Trust me, Madagascar 3 really lives up to the comedic standards set by the first and second films from this series. And I loved the casting addition of Martin Short (from one of my film fav’s- Father of the Bride 1 & 2)! 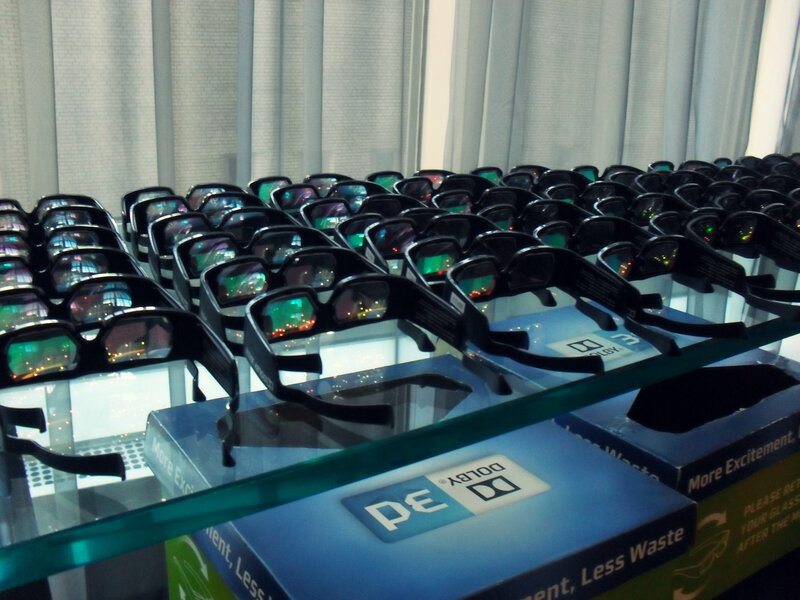 We got to see it in 3D- which really enhanced the viewing experience for me. I cannot wait to take my younger siblings to see this flick! You should totally go see it! After the film, we actually got the chance to meet Jada Pinkett Smith- who voiced the voluptuous and adorable Gloria the hippo. Seated a couple feet away from us, Jada shared advice and a couple stories with an obviously captivated audience. She’s so tiny, and such a warm personality! Last but certainly not least, we were sent away with an awesome swag back- my sister’s bag even had a $25 gift card to Aeropostale’s P.S. store in it (this is me pretending not to be jealous of my sister)! Update: The wonderful PR people for this event (hi there DKC Public Relations!!!!) 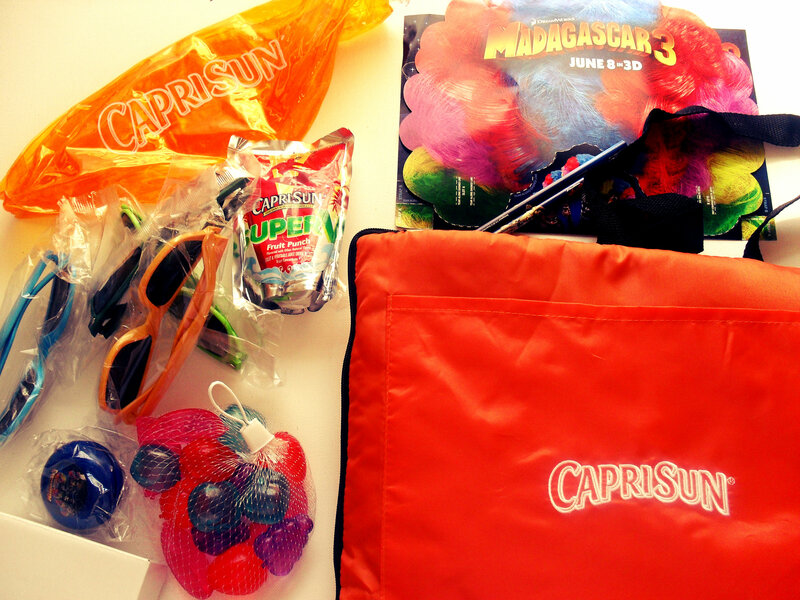 were kind enough to send me not only a aeropostale PS gift but also 2 boxes of Capri Sun Super V, and an amazing cooler bag with a plug-and-play stereo feature! Thank you sooo much! Next Post Product Rave: Almondina! Thank you! I loved those pops too!